Mold can be beneficial in science and medicine, but you don’t want it in your home. Mold in the home is one of the most common culprits of damage and health concerns for people across the country. Mold can go undetected for some time as it lurks behind the walls, the plumbing in the plumbing system, the basement, and other areas. The spores spread easily, further increasing the damage that it causes. Preventing mold in the home is attainable if you follow these steps. Creating a mold-resistant home is an investment up front, but it can prevent the hassle of mold harming your home and your health. By keeping water from infiltrating your home, you’ll potentially reduce the need for thousands of dollars in repair costs. Waterproof the basement if it isn’t already, repair leaks and faulty roofs, and ensure that the gutters on the home are always free of damage. Painting with a mold and mildew-resistant product will protect areas that tend to collect moisture on the walls, like the bathrooms. If you are planning to freshen up the paint anyway, choosing mold-resistant paint is a no-brainer. If there is already existing mold on the walls, be sure to eliminate it first instead of painting over it. Could it be that your daily activities encourage mold growth in the home? Without proper ventilation in moisture-prone areas of the house like the bathroom, the laundry room, or the kitchen, this could very well be a culprit. Use vents with fans in areas of the home that create heat and moisture like the stove, clothes dryer, and shower. An indoor humidity level between 30%-50% is recommended by the EPA. Maintaining this level of humidity inside the home prevents moisture buildup. Monitoring the humidity level in the home is simple thanks to the numerous moisture readers available for purchase. Preventing mold growth is much easier when you keep an eye on the humidity levels and with the moisture meter, that is a simple task for any homeowner. 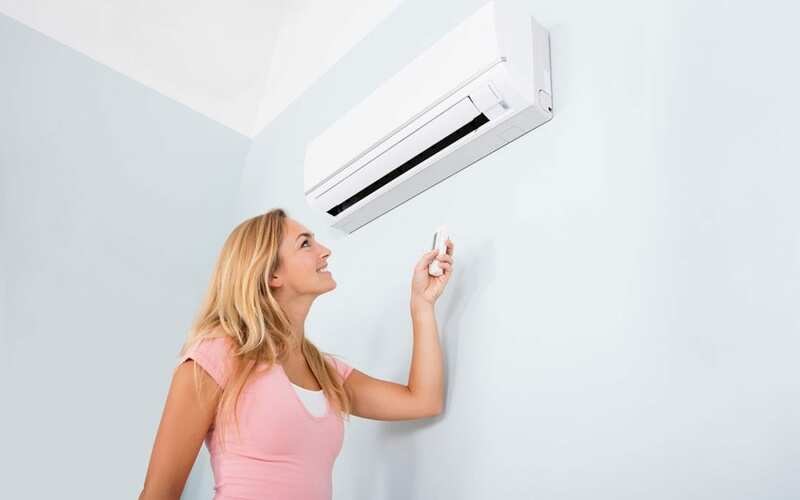 Running a dehumidifier and air conditioner in hot, humid climates will reduce the humidity level in your home. These steps prevent mold growth and potential risks for future growth. There is no single method for preventing mold in the home, nor is there a one-size-fits-all solution. The tips above provide a helping hand in the prevention of mold and homeowners find they work well by in deterring mold growth. Use this information to your advantage to ensure that mold isn’t a concern that costs you when the day is done. R. Sorensen Construction & Inspections provides mold inspections for properties in Eastern Oregon. Our mold inspections include a visual inspection and lab test results. Contact us if you would like to schedule a mold inspection or any of our other home inspection services.